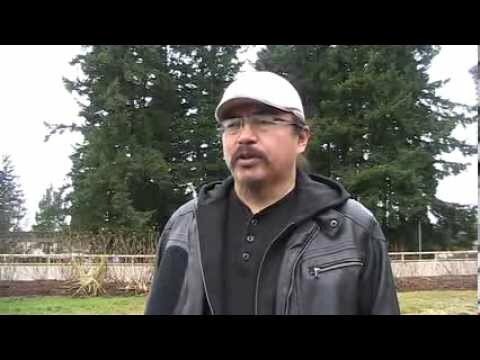 Dini Ze Toghestiy from the Unist'ot'en Camp speaks about the little known threat of ocean acidification, and what it may take to create a movement capable of stopping the poisoning of our only planet. Ocean acidification is caused by carbon dioxide from burning fossil fuels, such as coal, oil and gas, combining with water to form carbonic acid. Acidification is already killing off oysters and other marine life in coastal BC. The Unist'ot'en Camp Defenders are presently focused on stopping Chevron's Pacific Trail fracking gas pipeline which is already in the early stages of construction. This pipeline is designed to supply Liquefied Natural Gas (LNG) export plants, which would be fed by massive fracking operations in Northern BC. Because of the source of the gas, these plants are more accurately referred to as Liquefied Fracking Gas (LFG) plants. They and supporters are also dedicated to blocking the Enbridge tar sands pipeline. Both pipelines, and others in earlier stages of planning, would need to pass very near the Unist'ot'en Camp to be built.